Thursday, April 11th, 5:30 p.m.
Have you or someone you know been affected by substance use? 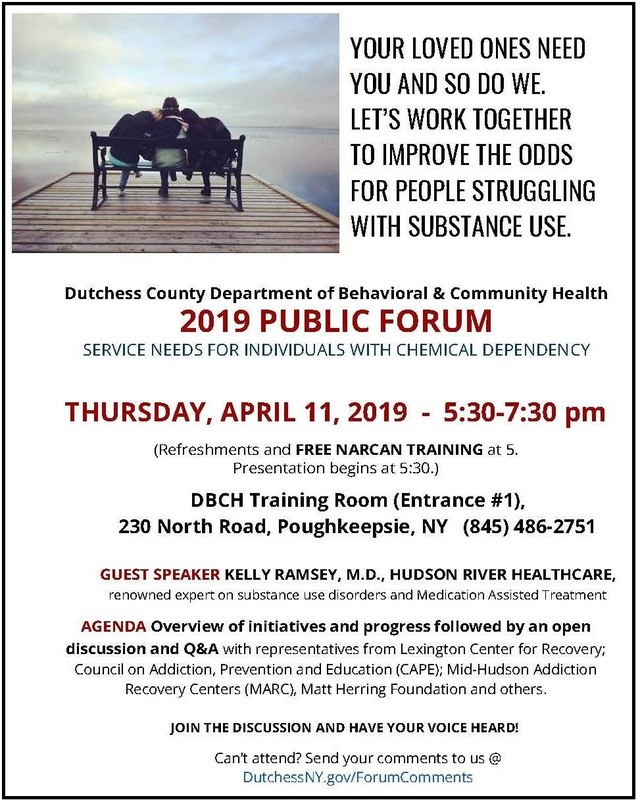 The Dutchess County Department of Behavioral & Community Health (DBCH) invites you to share your thoughts and help the County develop services and programs to assist those struggling with addiction at its Chemical Dependency Public Forum on Thursday, April 11th at 5:30 p.m. 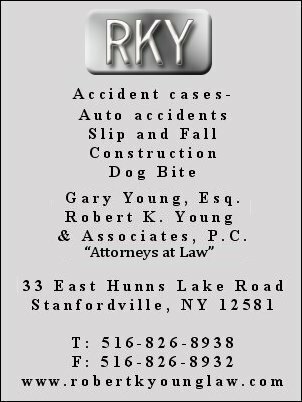 The forum, which will be held at the DBCH Training Room, located at 230 North Road in Poughkeepsie, is free and open the public. Input gathered at the forum will help DBCH staff formulate the County’s 2020 Local Governmental Plan for service delivery. Representatives from local services providers will also be on hand to discuss the topic with attendees. We hope you attend this critical conversation and become part of the solution in Dutchess County. An hour or two of your Thursday could save a life.